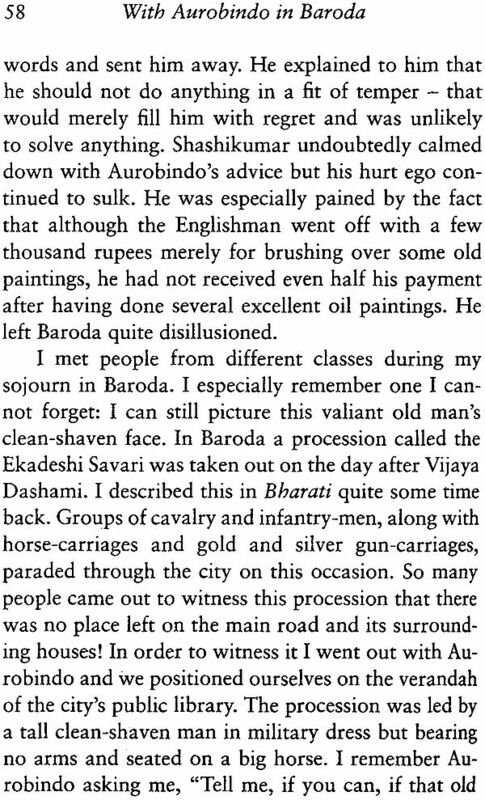 Little is known about the period of Sri Aurobindo's stay in Baroda. 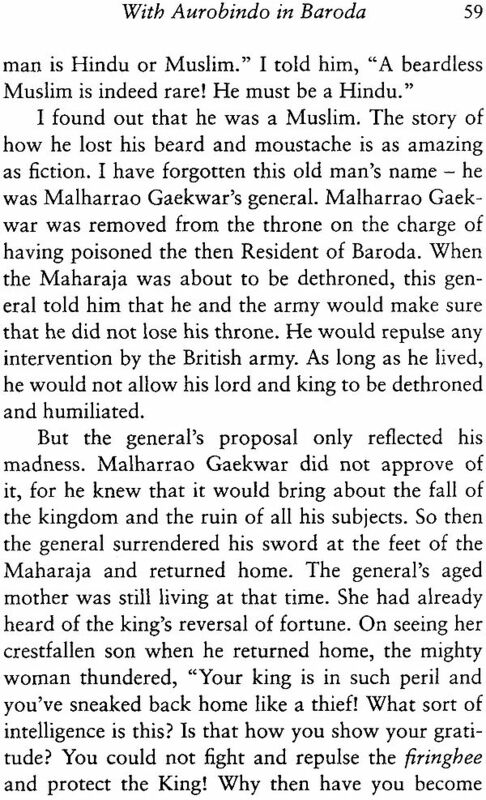 In 1898, Dinendra Kumar Roy left for Baroda with the charge of teaching him Bengali, "living together with him day and night" for over two years. In this charming little book, he remembers the time he spent with Sri Aurobindo. "As I became acquainted with his nature," he writes, "I realized that Aurobindo was not of this world. 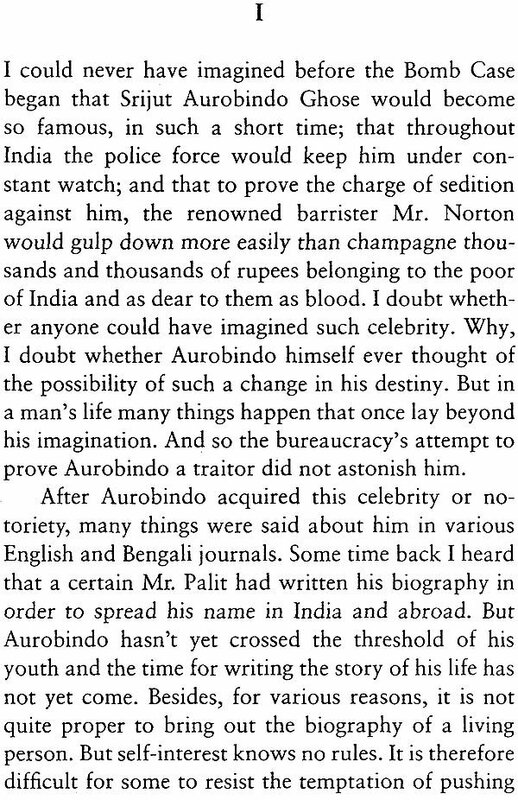 He who has spent even a few days with Aurobindo can never forget him for the rest of his life." 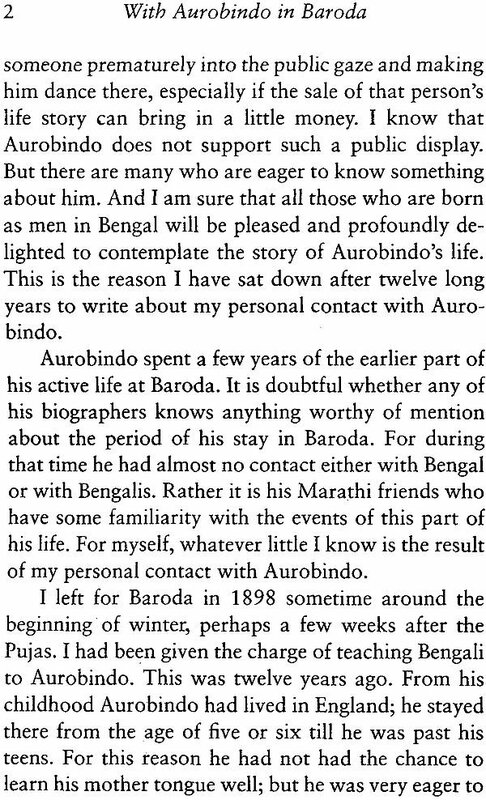 This is the first English translation of Aurobindo Prasanga (literally, "About Aurobindo"), a memoir by Dinendra Kumar Roy (1869-1943). A Bengali writer who was fairly well known during the first half of the last century, Dinendra Kumar lived with Sri Aurobindo in Baroda from 1898 to 1900 or 1901. The chapters making up this work first appeared in the journal Sahitya in Bengali year 1318 (1911-1912). More than a decade later, in 1923, they were brought out as a book. Some of Dinendra Kumar's references to historical and literary figures are explained in editorial notes at the end of the translation.